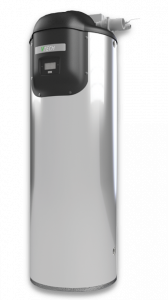 A board range of water heaters to provide an uninterrupted supply of hot water for every application. Heat exchanger design and materials for construction are applied to suit each application. To request a proposal for a water heater, please contact us. Designed for highest performance and efficiency. 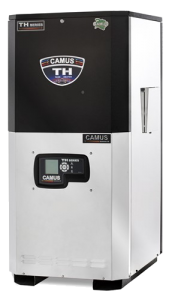 Modern condensing technology meets the lowest emissions of any water heater in the industry. All stainless steel construction, full modulation, corrosion imperviousness. Advanced combustion and control layers. 10-year manufacturer’s warranty ensures you’ve investment is protected. Endless water. Zero waste. Master-less cascading. IoT and Wi-Fi enabled boiler room solutions. 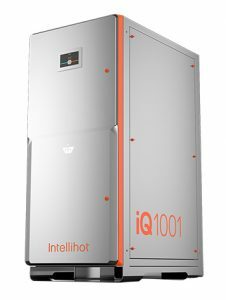 Intellihot is a one-stop shop for commercial water heating applications. 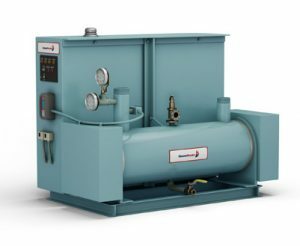 The Cleaver-Brooks Electric Boiler Model IWH is an instantaneous water heater designed to operate in hot water heating systems with a minimum footprint. It delivers maximum kilowatts and provides immediate water heating without a storage tank. The Tank Heater Series is an 80,000 to 500,000 BTUH unit approved for plastic venting to 100ft. 97% efficiency and extremely low NOx levels put this model above US and Canadian Green Building Standards. Digital control operated. Camus’ most cutting-edge product is also a pioneer. 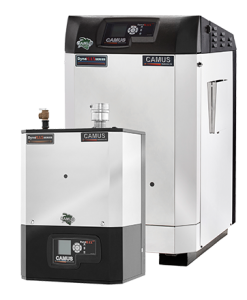 A range from 500,000 to 6 million BTU is a specification that makes the DynaFlame boiler/water heater a first in the industry. Compatible with advanced digital control systems.